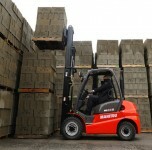 When you purchase a Manitou industrial forklift from LiftRite, you are getting the benefits of almost 60 years of materials handling expertise dating back to 1957. First launched in 2012, the MI range was marketed as a series of robust machines that “just get the job done”. The current generation of MI’s continues that legacy, with a strong list of standard features and a quality build. 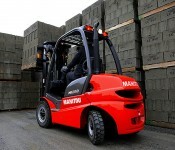 Manitou offers a large range of LPG and diesel models in its industrial range, from 1.5 to 10,0-tonne lifting capacities. 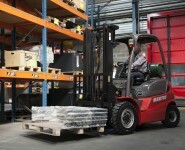 All are designed as easy-to-operate and maintain, with advanced ergonomics to keep your operations on the move. 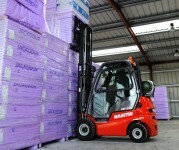 With multiple mast options available, Manitou has an industrial forklift to suit almost any industry and application. 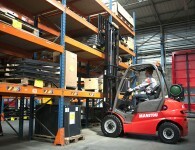 LiftRite Hire & Sales rents, sells and supports the entire range of Manitou equipment, including MI models, across Western Australia. 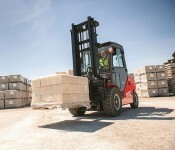 With over 33 years experience in the materials handling industry, we have the expertise and resources to keep your wheels on the move. Call our team today to fully explore your options within our range.